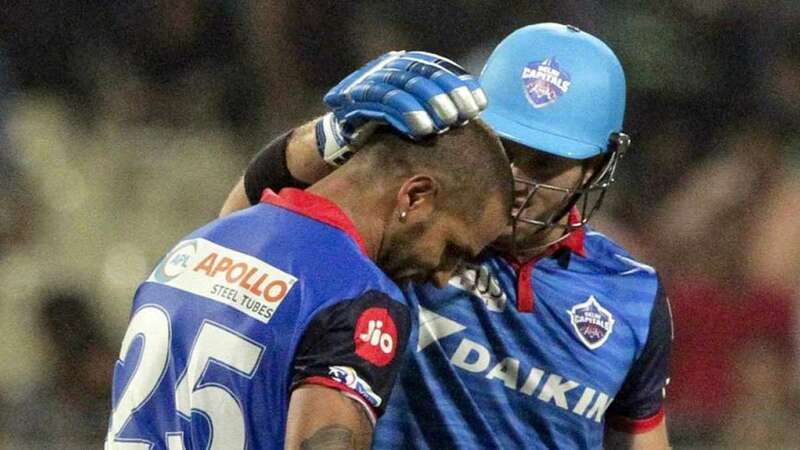 Kolkata : Delhi Capitals’ Coling Ingram finished the match against Kolkata Knight Riders in style with a six at Eden Gardens in Kolkata. But, this did not go well with some of the Twitter users. Shikhar Dhawan played a match-winning knock of 97 runs that helped Delhi in winning the match with seven balls to spare. But Ingram took matters into his own hands and hit 14 runs off 6 deliveries to fire Delhi to victory. When Delhi needed 5 runs from 8 balls, Ingram slammed a massive six to score victory. Dhawan applauded him from the other end but his fans blasted Ingram for his action. Lol on Ingram. He should hav given chance to Dhawan so that he could complete his century. During the post-match ceremony, Dhawan played modest and said the team victories come before personal milestones. "I knew it could have been my first T20 hundred but the team goal is more important and so I took that single rather than taking a big risk," Dhawan said during the post-match presentation.